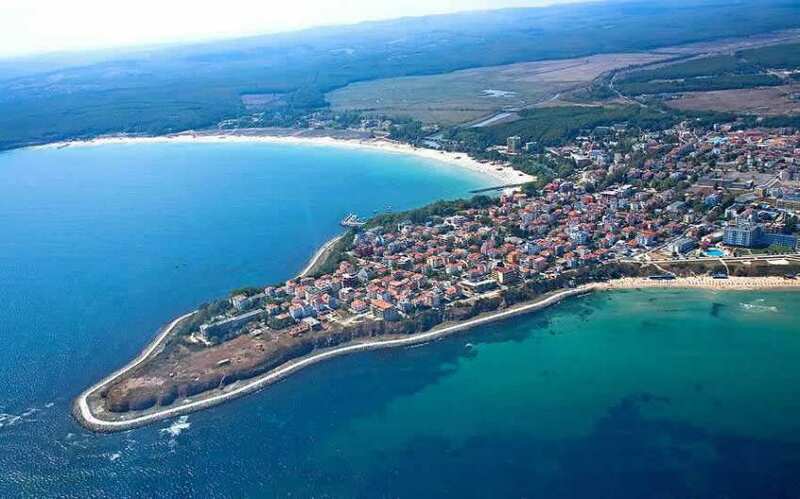 The complex is located only 40 meters from the South beach of Primorsko, which separates the Devil’s River and the road. It is this rare combination of river, sea and sand strip, making Prestige City II a unique destination for relaxation and relaxation. Prestige City II comprises 174 apartments – 15 studios, 98 one-bedroom, 59 two-room and 2 four-room apartments distributed between 5 residential and 2 mansard floors in the two buildings. All rooms have quality furnishing that guarantees maximum comfort for all guests. Part of the 1-bedroom and almost all 2-bedroom apartments have magnificent sea views. The hotel has a splendid garden with an outdoor terrace to the restaurant, an outdoor pool, a restaurant, a lobby bar and a pool bar. The complex also features a relaxation area offering a variety of facial and body treatments, massages. 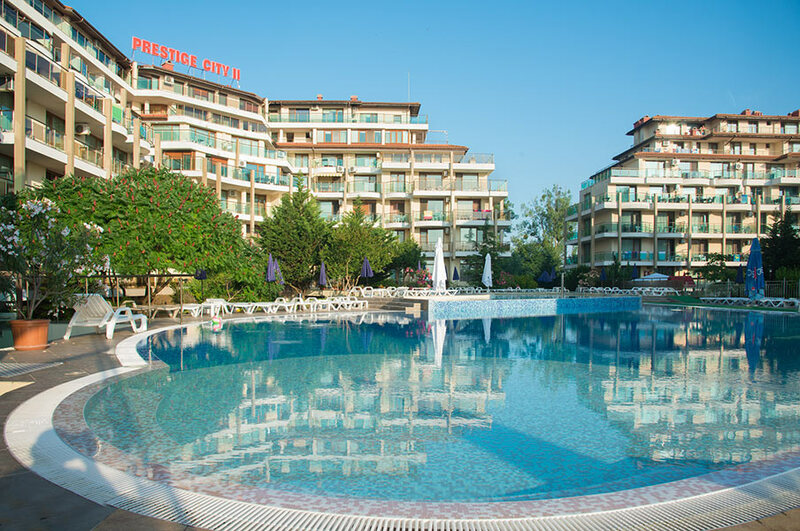 About 150 meters from Prestige City II is the Aqua Park of Primorsko, which enjoys small and large with its various water attractions. The relax zone is your personal relaxation space. The Apolis Hotel*** is a luxury, boutique, family hotel, with peculiar architecture, built in 2006. The Flagman Hotel was fully renovated in 2014 and converted to a boutique style. has a great view! Here you can enjoy exceptional panoramic views of the apartments to the beach and the sea and to the surrounding natural sights.